Republican Gov. Bobby Jindal signed legislation late yesterday significantly reducing criminal penalties for marijuana possession offenses. House Bill 149, which took effect upon signing, amends the state’s toughest-in-the-nation repeat offender laws for marijuana possession offenses. Under the previous law, second-time possession offenders faced up to five years of hard labor in prison. Third-time offenders faced up to 20 years hard labor in prison. Under the revised law, two-time marijuana possession offenders face a maximum sentence of six-months in prison. Three-time offenders face a maximum sentence of two-years in prison. Those convicted of marijuana possession for a fourth time face up to eight years in prison. First-time offenders found in the possession of 14 grams of cannabis or less now face a maximum penalty of 15 days in jail (reduced from six-months). House Bill 149 allows offenders to apply to have their record expunged if they aren’t convicted of a marijuana violation within two years of the first offense. According to an analysis by the ACLU, Louisiana ranks #14 in the nation in per-capita marijuana possession arrests. Gov. Jindal also signed separate legislation, SB 143, amending the state’s dormant Therapeutic Research Act. Specifically, the measure asks the state to adopt rules and regulations “relating to the dispensing of prescribed marijuana for therapeutic use” for patients with glaucoma, spastic quadriplegia, or who are undergoing cancer chemotherapy. 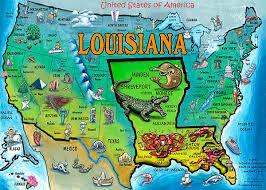 However, because this language directly conflicts with federal regulations prohibiting doctors from ‘prescribing’ schedule I controlled substances, it remains to be seen whether any licensed Louisiana physicians will agree to participate in the state’s proposed program.